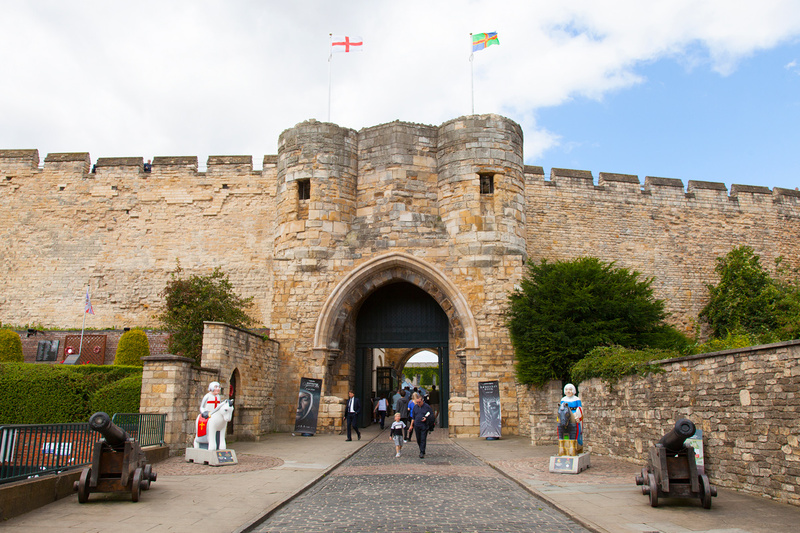 Lincoln Castle reopened its doors in spring 2015 following a £22 million, 10-year restoration project. The castle holds significant historic value as the only location in the world where it is possible to see both the Magna Carta and the Charter of the Forest together. 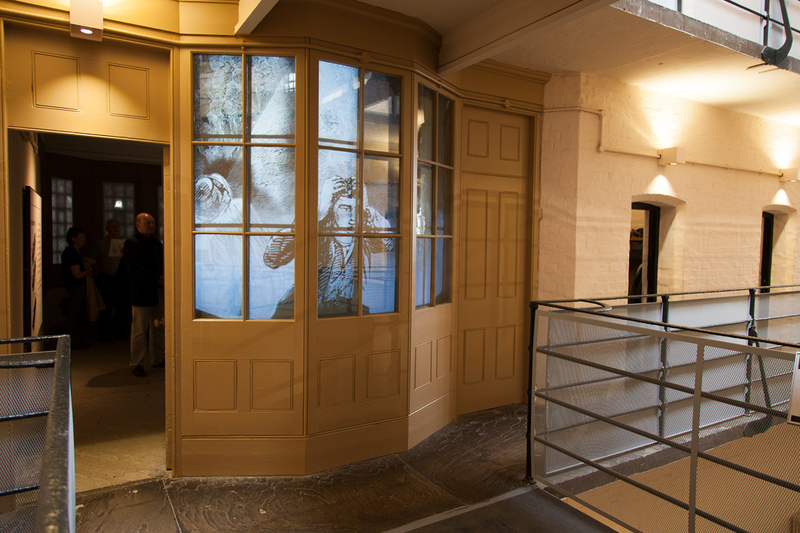 For the first time in its 947-year history visitors were allowed to traverse the whole perimeter of the castle and access areas that were previously withheld from the public, including the refurbished Victorian Prison. 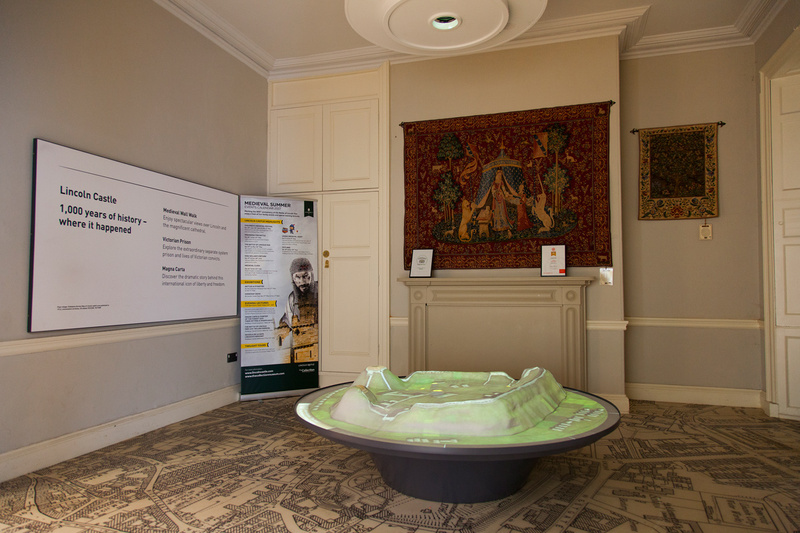 Central to the ‘Revealed’ project is an extensive interpretive exhibition that is the cornerstone of demonstrating the site’s ancient history. 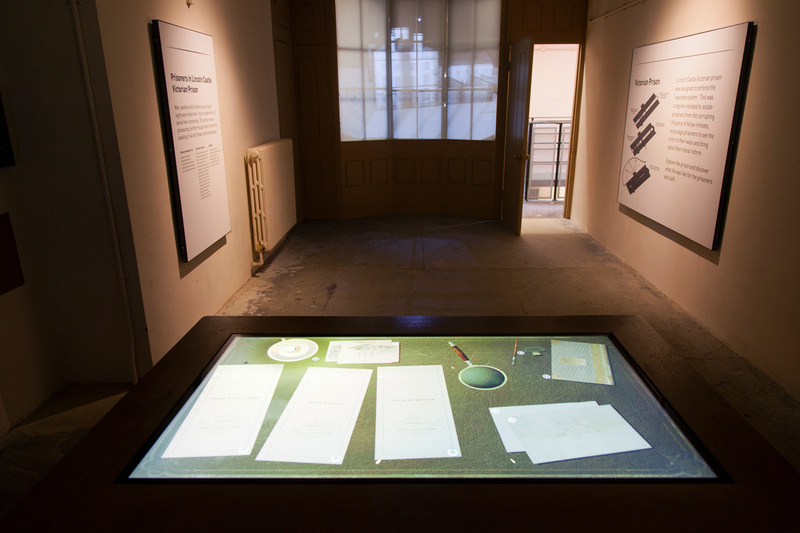 Visitors are guided through the story of the castle and its celebrated assets through a purpose-built exhibition space to house the Magna Carta, a revitalisation of the prison, and a reinterpretation of the external areas of the castle and grounds. 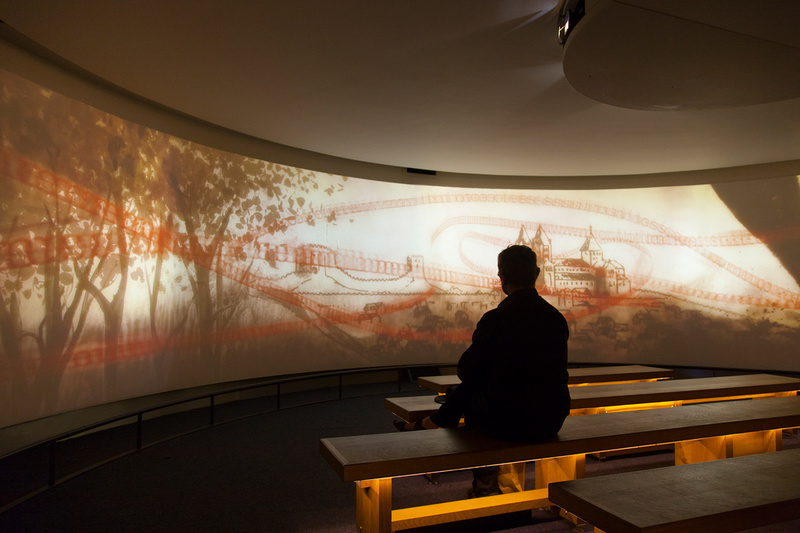 The experience is broadly divided into six different areas: ‘Arrivals’, ‘The Prison’, ‘The Chapel’, ‘Archive Explorer’, ‘Magna Carta Building’ and ‘Castle Walls and Grounds.’ Through each area, immersive cinematic presentations, site-specific soundscapes, interactive experiences, graphics, artefact displays and live interpretations are used to engage and educate visitors. 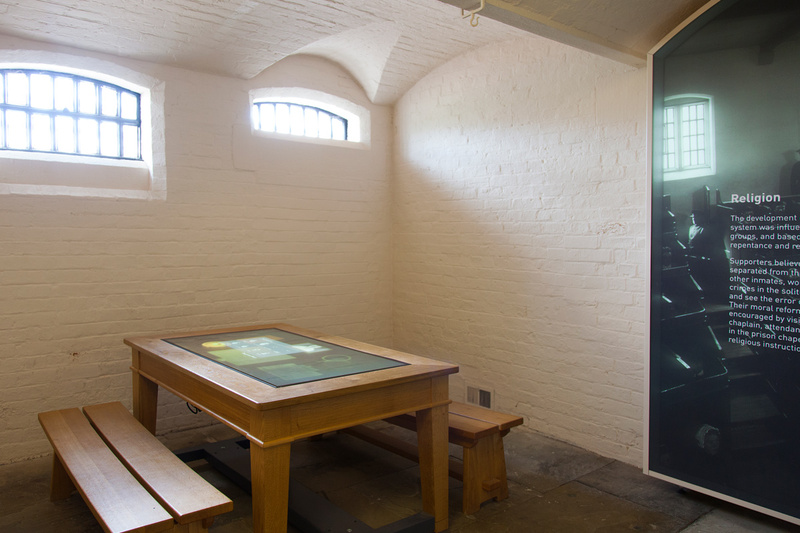 Five prison cells contain a projection on the end wall featuring prisoners testimonials, with each cell synchronising with the next to produce an efficient visitor flow. An immersive 3D soundscape in the atrium, commissioned by recognised producer Charlie Morrow, suffuses the 3 storey space with ambient audio. 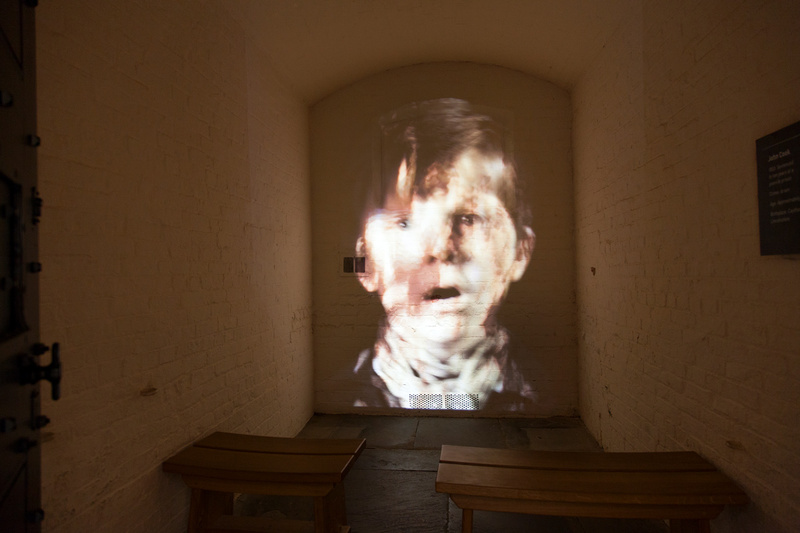 Soundscape is also utilised in the prison chapel through multichannel audio with panning sound, to replicate a priest giving a sermon. 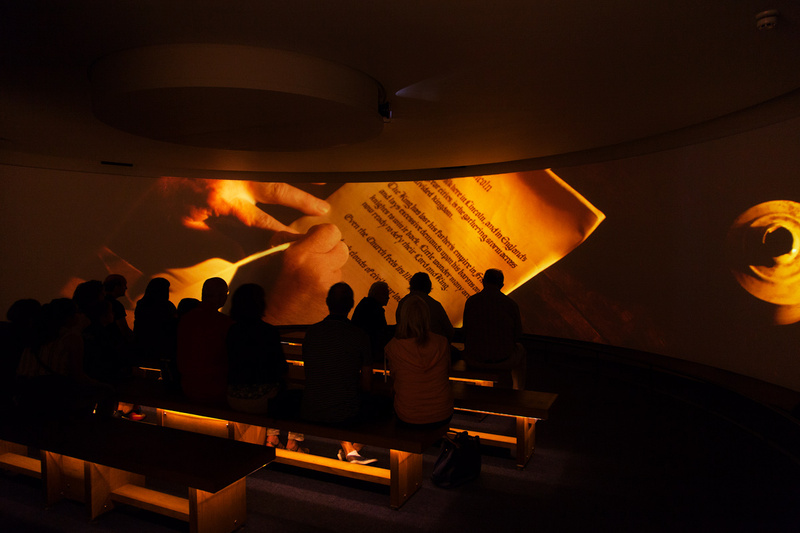 In the Magna Carta building the storytelling experience is enhanced through a cinematic 180° floor-to-ceiling projected video displaying historical re-enactments of the time period when Magna Carta was signed. 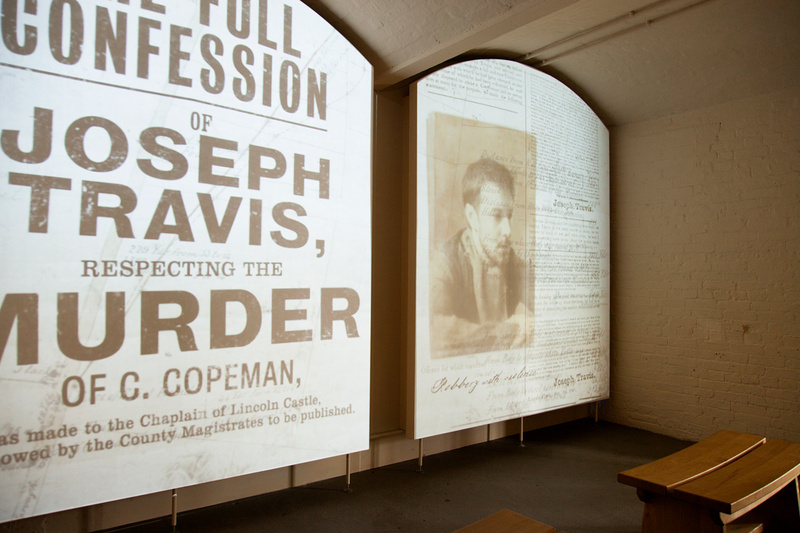 The Governor’s Room enriches the realism of the story through a projection foil displaying an overview of Lincoln Prison before becoming transparent, allowing visitors to look out over the prison atrium just like the governor would have. "The transformation of the site has been amazing for the county’s heritage and tourism. We’ve had a million visitors to the castle since we reopened in April 2015." - Councillor Nick Worth, executive member for heritage and culture. Lincoln Castle Revealed was awarded the Heritage Project of the Year at the Lincolnshire Construction and Property Awards 2017.